Anyone remember the year that Killing in the Name Of beat The X Factor to Christmas number one? Me too. 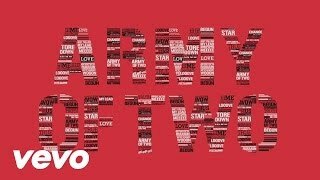 Anyone remember the song from The X Factor that was up against Rage Against the Machine who sang said winning Christmas number one? Well, it was Miley Cyrus’ The Climb which was covered by X Factor 2009 winner, Joe McElderry. We don’t seem to hear much from McElderry these days, but you know who we do hear a lot from? 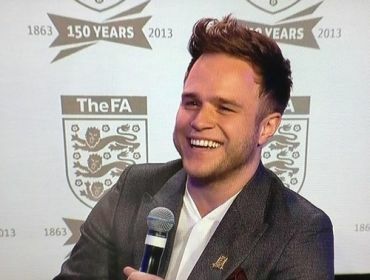 Step forward Mr Olly Murs. 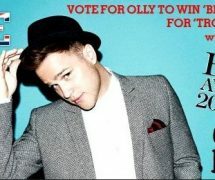 Olly was the cheeky chappy from Essex who came second to Joe in the sixth series of The X Factor. After losing to McElderry, Olly thought his career in the music industry was over. Boy, was he wrong! Almost four years later, Murs is currently jet-setting it to America where he’s beginning to make it big. And when he’s not singing to the US of A, Olly is either in the recording studio or touring the UK. Just before Christmas, Olly released his third album – Right Place, Right Time – which included hit song, Troublemaker, featuring American rapper Flo-Rida. On the 2nd December 2012, Right Place Right Time debuted at number one on the UK Albums Chart with sales of 127,000 giving Murs his second number-one album after In Case You Didn’t Know (2011). It also gave him the fastest selling album of 2012 by a male solo artist in the UK charts. By the end of the year, the album had sold 570,000 copies in the UK alone, becoming the seventh biggest selling album of 2012 in the UK. 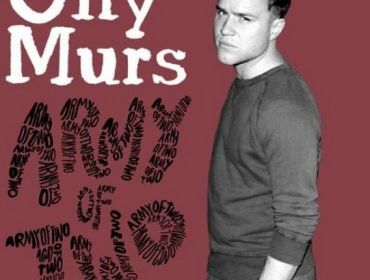 Olly will support the album with his second live arena tour of the UK and Ireland for 28 dates in February/March 2013, starting at Newcastle Metro Radio Arena on 26 February. He will then play his first live 9 European dates in Germany, Sweden, Switzerland and Denmark in April 2013, as well as supporting Robbie Williams on all 22 dates of his Take the Crown Stadium Tour of the UK and Europe in summer 2013. As for returning to host The Xtra Factor for his third year, nothing has been confirmed as of yet, but all will be revealed later this year. 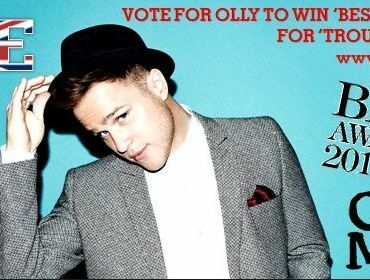 I wish Olly all the luck for the year ahead and here’s to another successful year! Related Article: Lauren’s Diary: Good Golly, Olly!